Swisspers Cleansing Facial Wipes with Green Tea are cleansing wipes that contain extracts of green tea, a powerful antioxidant, as well as aloe vera and vitamin E to gently cleanse and remove make-up and impurities from the face, neck and eyes, leaving skin feeling soft, smooth and thoroughly cleansed. They are pH balanced for healthy skin and are suitable for all skin types. Free from animal derived ingredients and alcohol. I carry a pack of these in my handbag and keep one in the glove box of my car. I also take these with me if I'm ever flying or travelling anywhere. They really come in handy when you're on the go. They are great at removing all kinds of makeup, even waterproof mascara. They leave skin feeling clean and fresh, like you've just cleansed your face. I love the fact that they are so affordable and come in a pack of 25. I've tried the other face wipe varieties from Swisspers, and these green tea ones are my favourite. 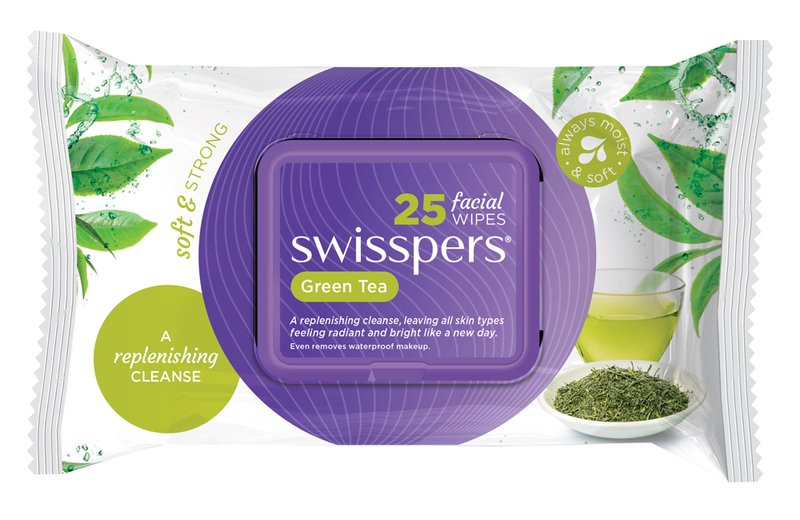 I've tried almost the entire Swisspers range and I must say the Green Tea packs are one of the poorer performing ones. My favourite is either the Cucumber or new Coconut & Micellar formulas. Overall I wouldn't repurchase these. Have repurchased these a million times. The price is great ($7 AUD) for how much you get in the packet. The cucumber scent is refreshing and feels so rejuvenating for the skin. Takes off all my makeup and then some. Even manages to get off my mascara which is always good so I don't wake up with panda eyes! Have used other wipes (Johnson's, Kmart brand etc) and they really don't compare. Neither take off makeup so effortlessly or have a great scent like Swisspers!  it works so amazingly on my skin and and removes all make-up. the wipes are very thick, not overly wet and clean light makeup very well, just thewaterproof eye makeup it has a little trouble with. i had to scrub my eyes to remove waterproof mascara and liner. i also found these too be very affordable. i like the packaging as its simple and keeps the wipes for drying out. great prouct! These wipes are a great quick fix for make up removal. It doesn't quite remove all traces for me but they do a good job at getting off the majority of my makeup. I can't really tell the difference between the green tea and cucumber wipes but these seem to be the ones available in the double packs which are much more cost effective. Would recommend as an everyday makeup wipe. On initial wipe I thought I found a winner. They I went in for wipe two to remove mascara and wished I could have stepped back in time and walked past this product. Maybe it is the 'green tea' or just my skin (which is not usually sensitive) but it was super painful. I don't like wasting my money so perhaps I will use this product again but well away from sensitive areas. Hopefully not cleaning the bathroom sink. But beware it feels like it could. I like these more than some other brands I tried as they are no overly detergenty and don't leave much residue. I am not a big user of wipes as I feel they damage the skin when you drag them over repeatedly and I only use them when I travel for a quick freshen up on the plane or in the gym after a workout. The wipes are very thick, not overly wet and seem to clean light makeup very well, just the colour stay or waterproof eye makeup it has a little trouble with. Mild, pleasant scent and doesn't make my skin sticky afterwards. I have been using Swisspers for a month or so now. I really like the smell and the texture of them. They are great when you are in a hurry however they don't take your mascara of and in the mornings I notice little dots of makeup around my eyes from my mascara. I do very much like the hard lid that the packaging has and this seems to stop them drying out like some other brands do. Overall they are good though and handy to have around. Really handy to use when I can't be bothered taking off my makeup. However it doesn't take off my eye makeup so my mascara and eyeliner are still on my face. It does take off my foundation really well which is handy! People with limited time!! Would be great for mums or busy people in general. After falling in love with cleansing wipes, I thought I would give other brands a try. Bought this as a combo pack, so I received two packs of 25, quite a great value. - Most eye makeup are removed, though there are residue left after cleansing (normal daily cleanser you would use) giving you a slight dark under eye, I wear a bit of eye shadow, mascara and liquid eyeliner, it may work with less eye makeup? - At first use, the next day I started to break out with pimples especially on my cheeks and forehead. I wasn't sure if it were really the wipes that were the cause so I continued to use it assuming the pimples were normal breakouts. After a week, my old pimples were settling down but new ones kept on appearing a bit all over my face, most were the pustules blemishes. So I stopped using the wipes for the time being and my pimples subsided for a while. These are my favourite wipes at the moment. Not only do they not irritate my skin, the wipes themselves are soft and don't scratch my face. Besides my eye makeup it removes my make up well and doesn't leave me with breakouts. They're very refreshing and soothing and also a bargain! Bought this to pop in the bag for those times when I need to wipe my face on the go. Its so convenient! It has a tab you use to open and it closes when you don't need it anymore. The size of the wipe is quite big, thick and moist. It rubs off pretty much everything! The fact that it is white shows all your residue that is on your face. Its great for getting the bits of mascara you normally cant get to. Its not so heavily scented, in fact I cant even smell the green tea! My face feels so refreshed and hydrated, such a great product. Anyone to use, on the go or for those times when you're too lazy to wash you face after a late night out. I have used all the Swisspers make up removal wipes because I dont mind any of their varieties because they all work for me. This is a nice refreshing wipe and it works to make my skin feel clean and refreshed. nice and smells very refreshing, but still gentle for me. Its worth trying to see if it agrees for you, because I really find it easy to use and works well for me. Its refreshing and gentle too. These are one of the cheaper make up wipes available but i think they do a good job of removing foundation and eyeshadow, maybe not eyeliner and mascara fully- you should still use eye makeup remover for that. But I always cleanse properly after using these anyway and these are great for taking off any heavy makeup before that. They can tend to dry out towards the end of the packet. They dont irritate the skin or sting the eyes. A pretty good product, will repurchase. The green tea facial cleansing wipes are my favourite make up removing wipes ever! There are 25 wipes in a pack and one wipe is enough to remove the makeup from the entire face, so one of the packets will last you for a month, which is great value for money. They have a gorgeous, refreshing scent which makes them that much nicer to use. They are very moisturising and remove makeup effortlessly, including heavy eye make up. These wipes don't irritate the skin, nor dry it out – my skin always feels nice, soft and refreshed after using those! These are great value for money and are usually available in packs of two for even less, which makes them a great affordable buy that will do what it claims! These wipes are so gentle on my face and my eyes when I am removing make up, it doesn't sting or cause any itchness to my skin afterwards. I like how it feels moisturised straight after I have wiped the make up off, and it is really clean! It can even remove waterproof makeup which makes it even more wonderful. I have to apply it to the eye area for 30 secs and then wipe which makes it easier to remove eye makeup. Plus it includes green tea, vitamin E and aloe vera to soothe the skin. These are great value, my favourite wipes ever! I bought a pack for my travels, and it's really convenient if you don't have time for a full-on cleansing ritual. It comes in a large-enough size for removing a full face of make-up, is strong enough to withstand a vigorous make-up removal session, and holds just the right amount of moisture. The only drawback is that it doesn't remove mascara & eyeliner very well. I still need to use a separate eye-makeup remover to do the job properly. Press the wipe into yur skin first to let the moisture soak in, then gently wipe off (too much rubbing will irritate the skin). I've recently been using facial wipes to remove most of my makeup before cleansing. I bought 2 x 25 packs for $9 so that's pretty good as most of these facial wipes products are often $6 or more. I found these facial wipes to be pretty good quality. The cloth is thick and soft and the scent is refreshing. The cloths however weren't as wet as others I have used, and I felt it didn't remove my makeup as effectively. I would probably try the cucumber scent as well! I found these left my skin nice and soft but werent too good at taking off the makeup. I wouldnt buy them again. Better skin while your snooze.